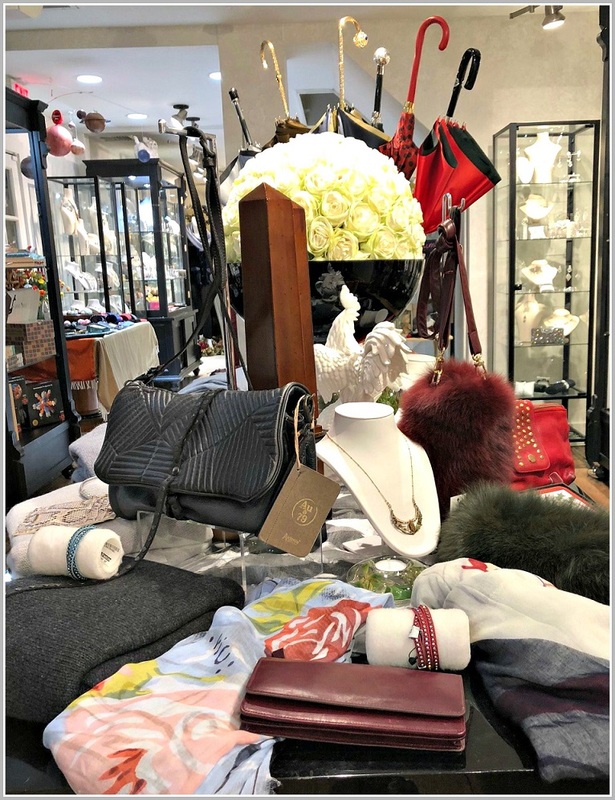 For 12 years, shoppers have found great gifts — for Valentine’s Day, Mothers Day, birthdays, bar and bat mitzvahs, weddings, and every other type of celebration — at The Brownstone. The warm, cozy 2nd-floor space at 142 Main Street — just past Brooks Corner — has flourished as a customer-centered, locally owned and very fun place. It has not been easy. The Brownstone weathered one recession, two major storms (Irene and Sandy), and one move (up the street). Owners Celeste, Mariana and Victoria have always operated by consensus. Now — as Victoria retires, and moves to California — they’ve made their most difficult decision ever. “We’ve had the best time building relationships with you!” the owners say in their announcement. Their decision — to “say farewell to our beloved customers” — was not easy. Owners Victoria Schallert and Mariana Hurtado at holiday time. 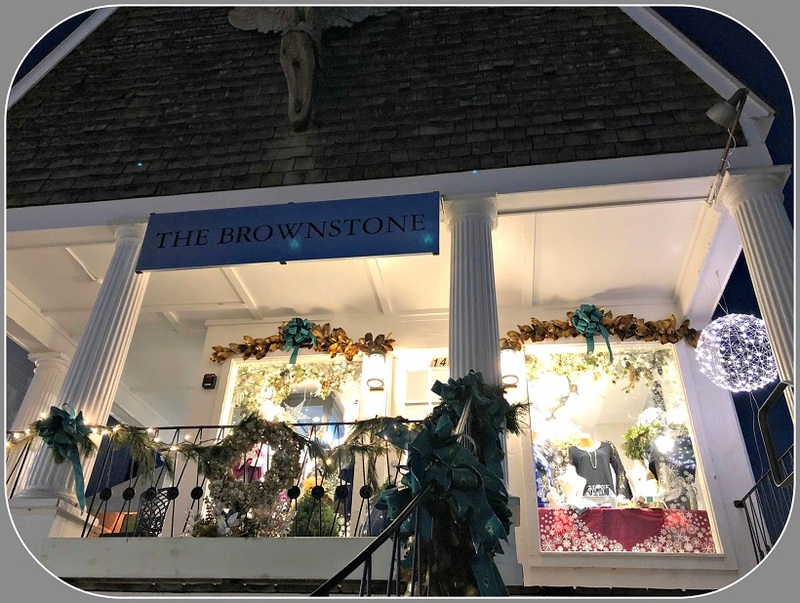 As they wind down their inventory, The Brownstone continues to serve Westport. Their closing sale has begun. It includes new spring arrivals, and many hard-to-find jewelry designs. Le Rouge by Aarti. Dovecote. Lucy’s. Bungalow. Swoon. Faye Kim. Organachs. Age of Reason. Bespoke Designs. Oddz. Savvy & Grace. Soleil Toile. Fetaire. Bella Bridesmaids. Noya Fine Jewelry. Plus all the smaller chains of just a few shops, like Lux Bond & Green, Shoe Inn and Shoes ‘n’ More. And all the restaurants, ranging from Jeera Thai and Finalmente to Boca, Tavern on Main, Jesup Hall, Le Penguin, Joe’s and Westport Pizzerias, The ‘Port and many others. Her point is: Downtown — including sometimes-overlooked Sconset Square and the Saugatuck River’s west bank — is not just chain stores (and not just women’s clothing). Schallert should know. She’s the longtime owner of The Brownstone. That’s the jewelry, accesories and (okay) women’s clothing store on the 2nd floor of 142 Main Street. The Brownstone, on the 2nd floor of 142 Main Street. More directly, her fun, fashionable and eclectic shop sits right between Tavern on Main and Brooks Corner. The building once housed the original Ice Cream Parlor. You don’t get more homegrown than that. Schallert — whose background was in corporate security compliance — switched gears and careers in 2005. Her first Brownstone was on Washington Street in South Norwalk. But that street was “dying,” she says. 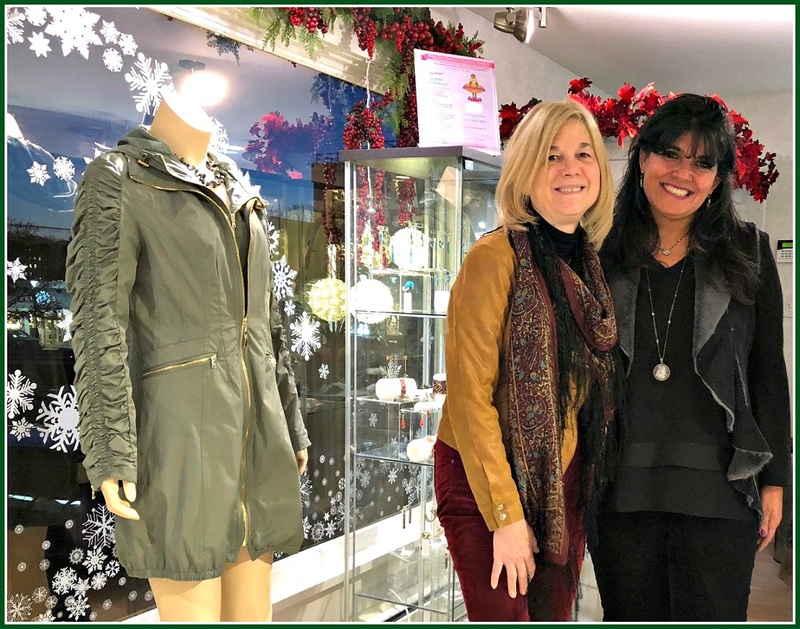 So 2 years later she joined with Westporter Mariana Hurtado (who worked at Banana Republic) and Celeste Puglisi (of Shoe Inn and Banana Republic), and moved to 36 Main Street. She adored the location — right before Banana Republic and Shoe Inn — as well as landlord Drew Friedman. “He gave us an opportunity. He really cared about the town,” Schallert says. Victoria Schallert and Mariana Hurtado. Their store looks out over Main Street. Of course, no store is ever static. Over the years, as entertaining styles changed, The Brownstone’s focus shifted too. They now sell fewer home accessory items like candelabras; more jewelry, handbags and clothing. Schallert and her partners work hard to welcome customers. They serve coffee and tea. (“A big corporate company might worry about the liability if someone spills,” she notes.) They gift wrap too, which many chains have gotten away from. After Friedman sold in 2014, the new owners — Forstone Capital — wanted a larger tenant. They offered Schallert space upstairs. But the town said no to a zoning change that would have allowed the move. So The Brownstone headed up the street, where Great Stuff had been. Schallert loves that location — all of Main Street, in fact. A small part of The Brownstone’s offerings. 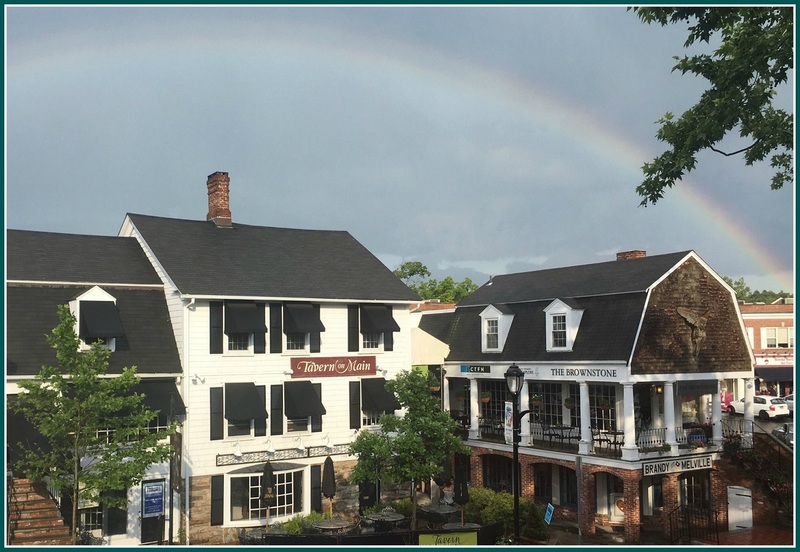 Yet, Schallert says, because of its small, walkable size, downtown Westport could be like a European village. She envisions folks strolling from Sconset Square through Main Street and across the river, at all hours of the day and evening. Schallert wants everyone to know: You can get plenty of locally owned, great nourishment throughout downtown Westport. And not just at our wonderful restaurants.